The Texas softball team starts its fall season tonight hosting McLennan Community College (Photo courtesy Texas Sports). AUSTIN, Texas — Mike White is acclimated to adjusting to new conditions. Originally from New Zealand and in Texas by way of Oregon, the new University of Texas Softball coach is completely embracing his new home in Austin. As the Longhorns take the diamond tonight for the first time this fall, White was all smiles talking about getting his feet grounded around town and around his new team. 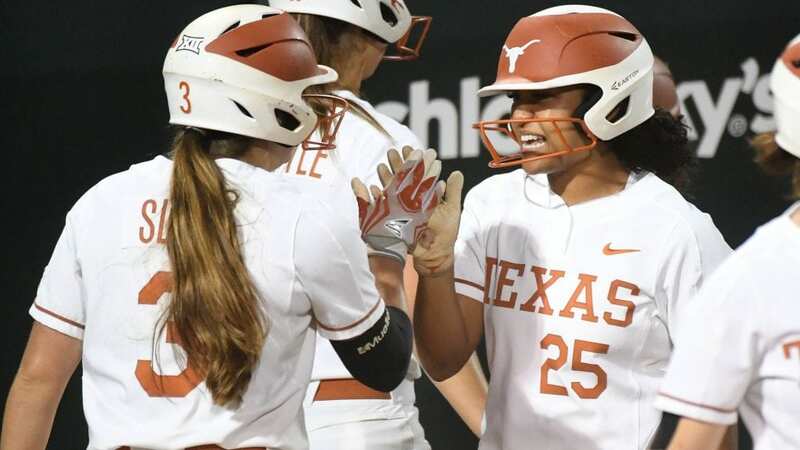 Returning standout junior outfielder Kaitlyn Washington said there’s a different vibe and pace to the Texas practices this fall, with an intention set on every movement they make. Washington (359 avg., 56 hits, 21 runs, 13 doubles, 3 HR's, 20 RBIs) is one of nine players from last season that earned time in at least 50 games returning to the diamond for the Longhorns, giving the team a stable core while integrating new faces this fall. With enthusiasm brimming out of her redshirt junior Reagan Hathaway is thrilled to be back playing after missing most of the past two seasons with injury. Hathaway also senses a different heading into this season under White and the new staff. The fourth-year Longhorn brings a veteran leadership with a different perspective after having to watch from the side the past couple seasons. Texas hosts McLennan Community College at 4:30 p.m. at McCombs Field, with the game airing on the Longhorn Network. On Oct. 20 the Longhorns travel to play LSU at 7 p.m. in Conroe before hosting Galveston College back in Austin on Oct. 24 at 4:30.